https://tutorialinux.com/wp-content/uploads/2017/01/TutoriaLinux-Penguin-2-Color-300x272.png 0 0 Dave Cohen https://tutorialinux.com/wp-content/uploads/2017/01/TutoriaLinux-Penguin-2-Color-300x272.png Dave Cohen2016-05-24 12:24:462017-04-30 14:45:05Sysadmin Links: Windows Package Management, SSH Wizardry, and Strategy Games! If you want to be a competent Linux or Unix Administrator, Developer, or IT Person, you need to be completely comfortable on the Linux Command Line. For that reason, I’ve approached the “Linux Command-Line Basics” topic from a few different angles so far. This post should be a good jumping-off point for anyone who wants to dive in — it’s a one-stop shop for all the free videos I’ve made on the subject of Linux command-line basics and basic Bash shell skills over the last three years. Let’s get started! 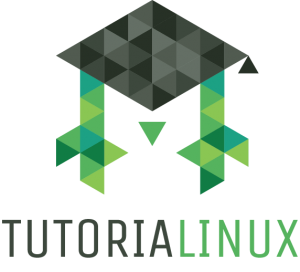 It’s a project-based course which teaches the basics of Linux system administration using a practical, real-life project to lead you through the material. In the course, I walk beginning Linux sysadmins through setting up a fully-featured, production-grade WordPress hosting platform on their own server. Of course, you can run other PHP applications on this platform, too. I chose WordPress because it’s so insanely popular right now, and because I know the platform relatively well after spending a year working as a security consultant doing malware cleanups and security overhauls on compromised WordPress sites. The course itself follows the project-based learning approach I’ve been talking about recently. Although I think theory is important (and occasionally even fun), people just seem to learn much faster when they work on a practical project that ties together 10 or 20 individual skills and gives them a usable artifact at the end (in this case, a hosting platform). I supply a slow drip of theory in this course — just enough to keep students making progress on the project while still understanding what’s going on. The course features 71 videos right now; about 8 hours of video content. There’s more coming, too: I’ll be continuing to improve and add material to the course as it grows and I get feedback from students. Plus, you’ll have something to ‘take home with you’ when you finish the course: it’s always cool to have a robust, performant hosting platform at your fingertips, ready to do your bidding, host your friends’ websites, make you millions of dollars, etc. I’ve marked a bunch of the videos as being ‘free previews,’ so there’s about an hour of viewing to be had for free on the “course curriculum” page. All the links in this post include a coupon for $7 off the retail price (just over 15%). Have a look at the course curriculum, and check out some of the free preview videos from the course! Get over there and check it out! Did you know that Kim Jong Un, the glorious, fearless, and immaculately rotund leader of North Korea, loves Mac OS X (and possibly Madonna)? If not, you’ll want to check out this video about Red Star OS, the operating system which the North Korean government has put together for their citizens. top: find out which processes are running, how much load they're putting on the CPU, and how much memory they're using. (sudo) netstat -tulpn: Check for listening network ports and which processes/programs are using them. I really like a program called htop, which shows you a bit more information and presents it in a nicer format. I recommend using it, once you’re comfortable with top.